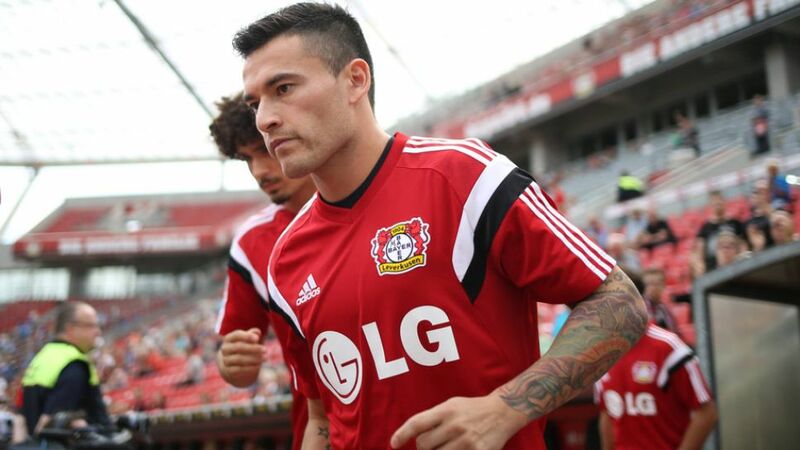 Bayer 04 Leverkusen head coach Roger Schmidt says Chile international Charles Aranguiz could yet feature for the first team before the season is out. The 26-year-old tore the Achilles tendon in his left leg shortly after joining the club on a five-year deal from Brazilian outfit SC Internacional last summer, but recently returned to first-team training. "We believe and hope that Charles will be able to get some games under his belt before the season comes to an end," Schmidt told journalists ahead of Leverkusen's UEFA Europa League Round of 16 second leg with Villarreal CF. News of Aranguiz's possible debut comes with just eight matches of the 2015/16 Bundesliga campaign remaining. Die Werkself are currently seventh in the Bundesliga, while their hopes of reaching the Europa League quarter finals hang in the balance following last week's 2-0 first-leg defeat to Villarreal.